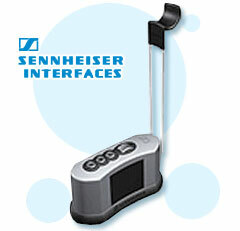 Sennheiser Communications offers accessories for headsets to increase your headset options. They are compatible with almost every major telephone systems and come with dynamic volume control and microphone mute. Shennheiser's interfaces also supplies easy switching between your headset and telephone handset, as well as between telephone and PC. It enables the simultaneous connection between headset and telephone handset and ease in switching between both of these connections.